Don’t spend more money than you have to on toner cartridges. 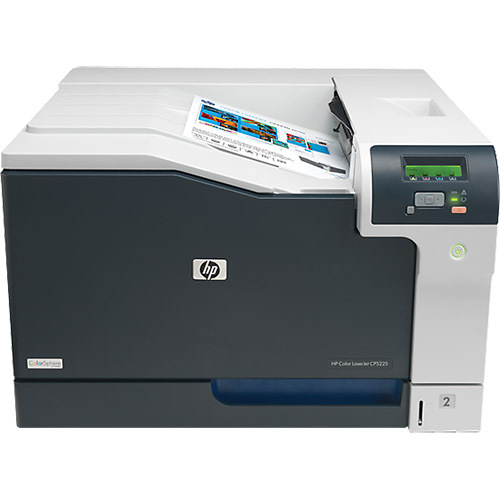 Your HP Color LaserJet CP5225 printer needs dependable products, but you have other options besides paying the high prices associated with original equipment manufacturer (OEM) toner cartridges. 1ink.com’s remanufactured HP toner cartridges provide any midsize office with incredible print quality and a commanding print performance. You’ll get all the same product specs that you’d expect from an OEM cartridge for an affordable price! We use the highest-quality components during the reengineering process, which takes place in factories here in the United States. That’s right – buying remanufactured toner from 1ink.com helps support American jobs while also reducing your business’s carbon footprint! We’re confident you’ll appreciate the quality print work you get from our HP Color LaserJet CP5225 toner. Every page will look like it came hot off the press at a professional print shop, but you’ll actually be cutting costs and saving money! Our remanufactured HP 307A toner cartridges offer all the print quality, performance, and convenience of OEM toner, but only 1ink.com brings you this level of quality for such a low price.